With stricter polices and deadlines for results, scientists are leaning on key performance technology to meet demands. Especially in the areas of research for parallel synthesis, crystallisation studies and process development the traditional hotplate set up isn’t cutting it for proper data logging. 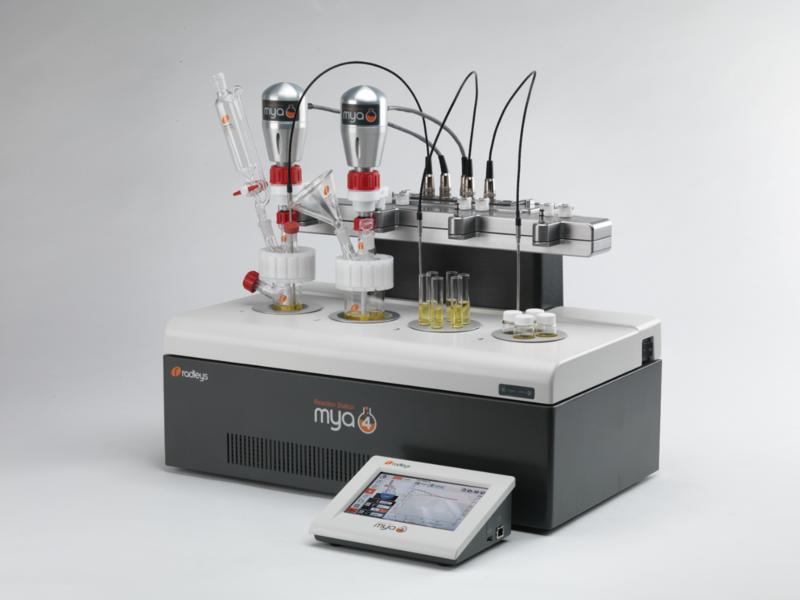 Based on researcher’s needs and changing times Radleys, a UK based chemistry product manufacture, has developed and introduced the Mya 4 Reaction Station. In partnership with Radleys, Heidolph North America is exclusively providing this product line-up to North America. One of the biggest standouts is it allows for multiple experiments with individual control in a single compact benchtop system. Mya 4 provides ultimate flexibility: independent control over 4 zones, with active cooling and heating from -30 °C to +180 °C, a wide choice of vessels from 2 ml to 400 ml, and magnetic or powerful overhead stirring.